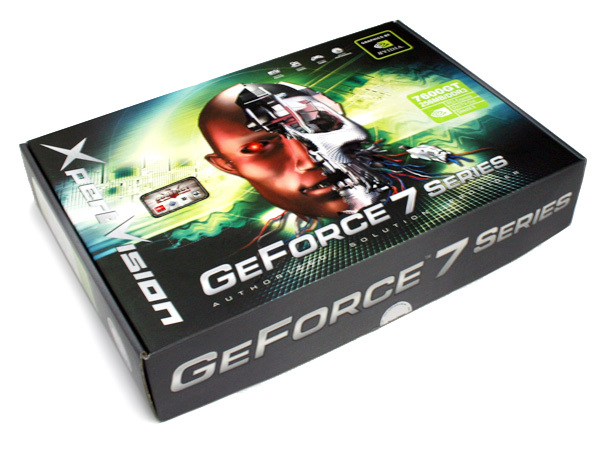 Today, we will be taking a look at seven different 7600GT graphics cards from six different manufacturers. The 7600GT will be the next card majority of the consumers will be looking to buy because it has a very affordable price tag. In effect, the 7600GT fills in the shoes of "6600GT" of the last Gen.
As you can see, almost all the cards we have here are based completely on the reference design from NVIDIA, right down to the PCB. The default clocks of the 7600GT is 560MHz for the core and 700MHz for the memory. However, some manufacturers have already pre-overclocked their cards. 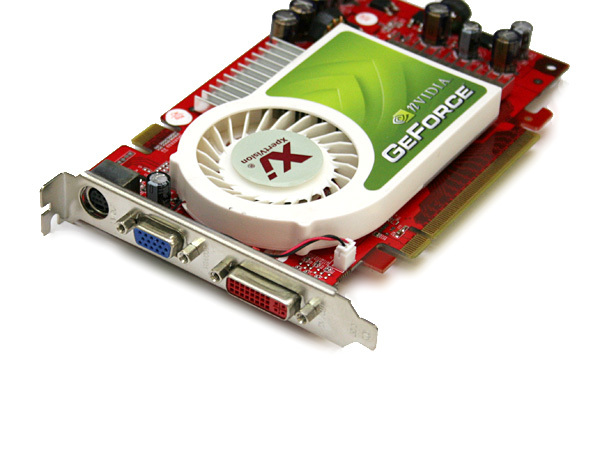 These cards come from namely XFX and XpertVision. Their cards have speeds of 580/750 and 575/750 respectively. 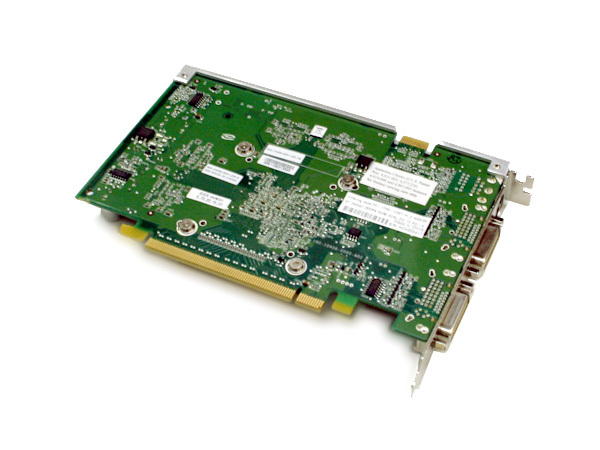 All the 7600GT cards we have come with dual DVI ports, with the exception of the XpertVision 7600GT. 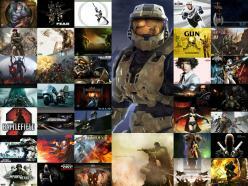 Benchmarks are done using the whole 3DMark series. They would be able to give a good gauge of the performance from the cards. First, we shall take a look at what ASUS has to offer. The ASUS EN7600GT comes in a simple box and goes for a retail price of around USD$225 (SGD$370). 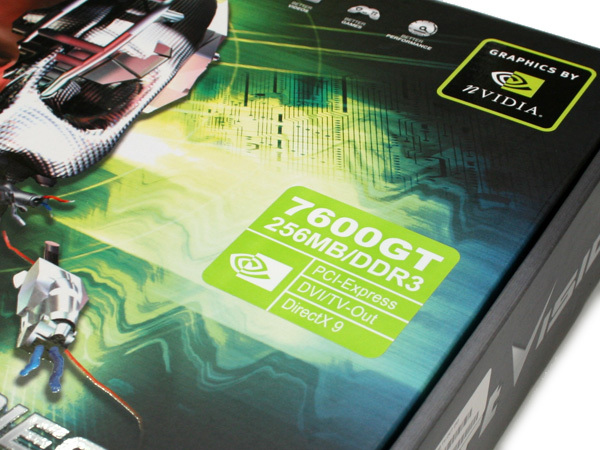 If you were to look at the card from the back, we don't think one would be able to distinguish it from a nVidia sample, minus the stickers stuck on by ASUS themselves. Upon powering up, the fan produces an audible whirr for a few seconds before the RPM drops. The fan noise is kept to a minimum level, until you fire up the Coolbits overclocking utility, or you run 3D applications. When these applications were ran, the RPM moves one step up. You can hear the fan, but it is still not yet at the level when you first power up your system. 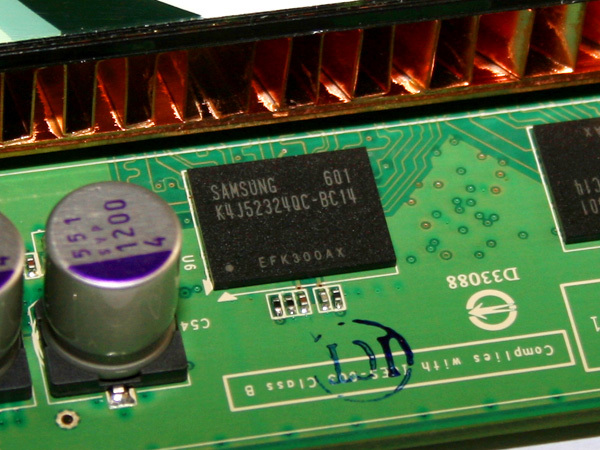 The BGA RAM chips used are produced by Samsung, and they are a 1.4ns part. 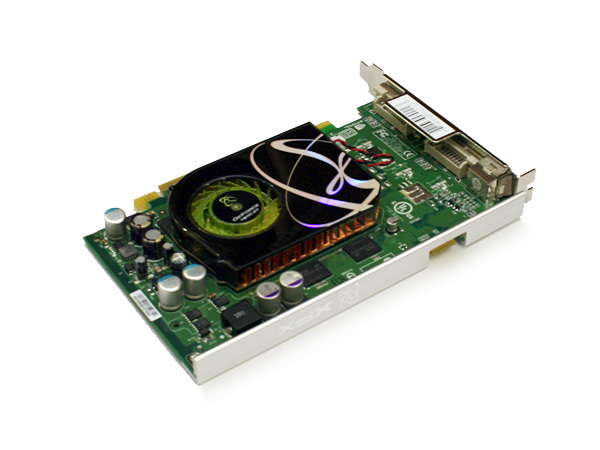 The same Memory is used on all the other 7600GT cards in this shootout, except the Xpertvision 7600GT which uses Samsung 1.2ns chips. An image of the 1.4ns part can be found later in this review. As mentioned in the previous pages, we will be using a single set of scores for all the default-clocked 7600GT cards. Somehow, this card we have here does not seem to perform well when it comes to memory overclocking. We could only raise the memory speed a little, but the core could scale quite well to 625MHz, up from the default 560MHz. When clocked to 650MHz on the core, benchmarking would freeze immediately after the loading screen for quite a while before continuing to run. However, major artifact sets in, so we had to reduce the overclock. We also have the EN7600GT SILENT from ASUS. This card can be had for USD$245 (SGD$404), thereabouts. This si the most expensive card among the pack of 7, but understandably so when you factor in the high cost of it's heatsink. What's special about this card is that it is passive cooled. This means that there is totally no fans on the card for complete silence. 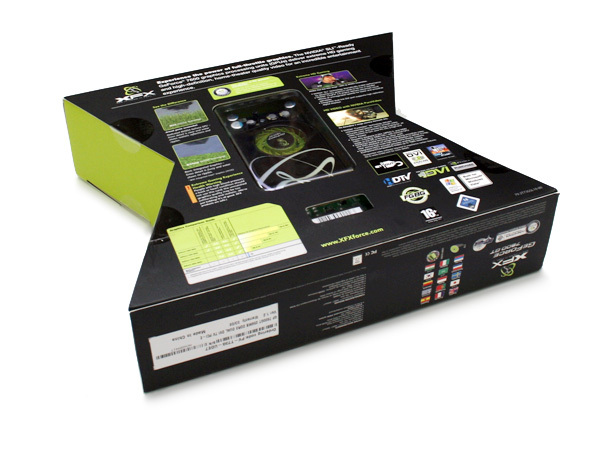 Opening the flap on the box, you will see a section explaining what SilentCool 2 Technology is all about. 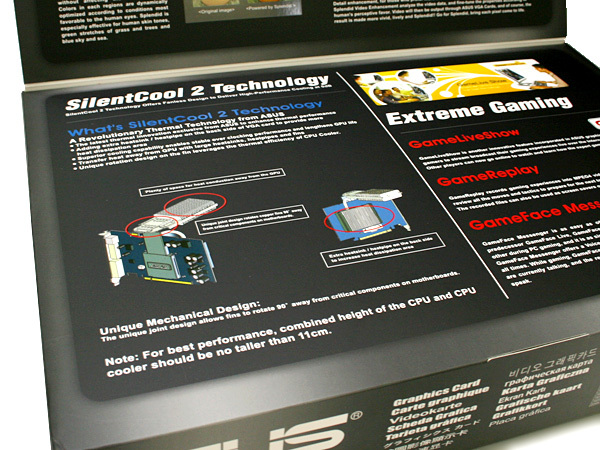 SilentCool is a term used by ASUS to describe their unique heatsink design. This is the card itself. As you can see, only the core is being cooled. The BGA RAM chips are naked. 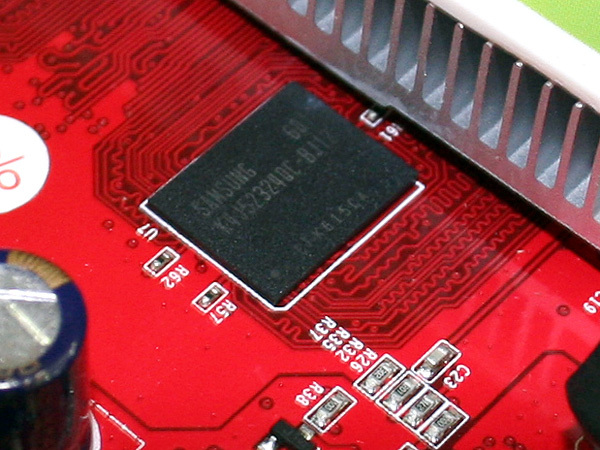 This card is also using the reference PCB design. The core would only run up to 600MHz. Clocking higher can cause random pauses during the course of benchmarking. However, the memory chips could go pretty high, up to 775MHz, not bad for a 1.4ns part. 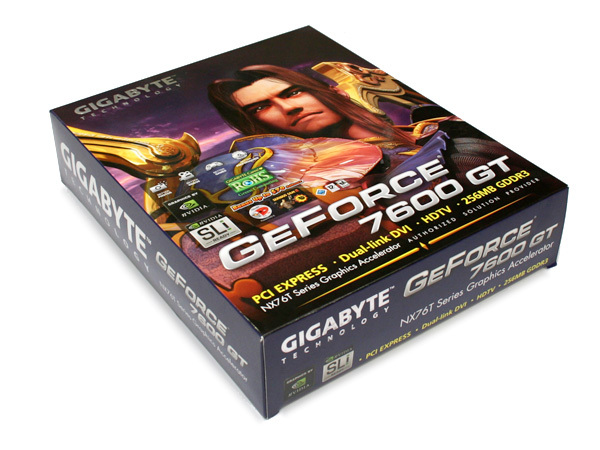 Gigabyte's 7600GT comes in a really nice looking box. This card goes around for USD$210 (SGD$348). The label on the box, stating what the card has and what is in the package. When overclocking with Coolbits, we attempted a first try of 650MHz on the core. However, upon clicking the button to test changes, the whole system froze and we had to do a hard reset. We clocked the core down to 625MHz then. 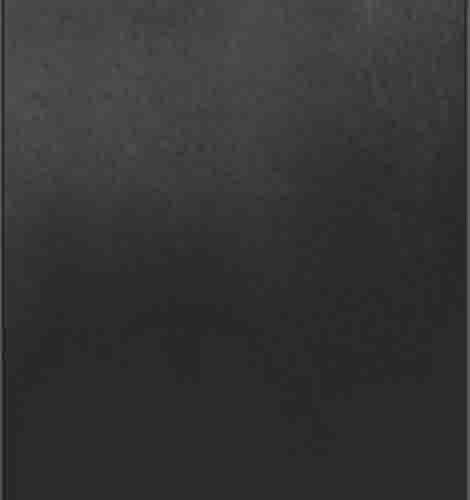 However, our 3D benchmarks refused to load, stopping with a black screen. We further clocked it down to 600MHz before the card would bench nicely. Memory overclocking wasn't bad, with the memory topping out at 750MHz. A simple looking box to go with the card which goes for a low price of USD$200 (SGD$330). Poor performance from the core, only managing 600MHz. However, the memory could clock to 800MHz. Impressive for a 1.4ns RAM part. Clocking anything higher than 600MHz causes the benchmarks to freeze momentarily now and then. 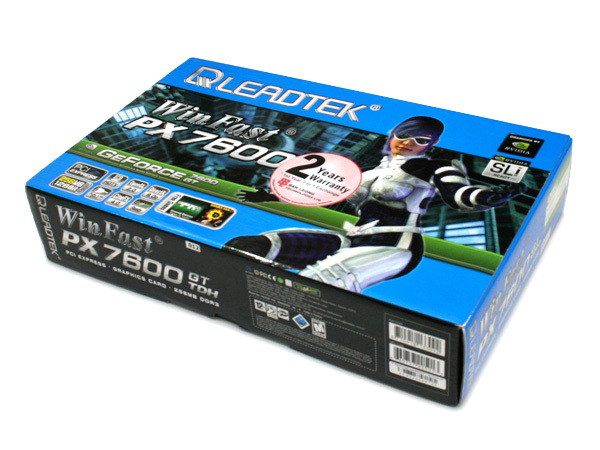 Now let us take a look at the Leadtek 7600GT going for a low price tag of USD$200 (SGD$330). Yet another reference card, but Leadtek has replaced the whole front of the heatsink with their own label cover, customizing the sticker on the fan hub as well. However, one thing to note is that there is no fan speed control on this card. The fan runs at full blast right from the start. 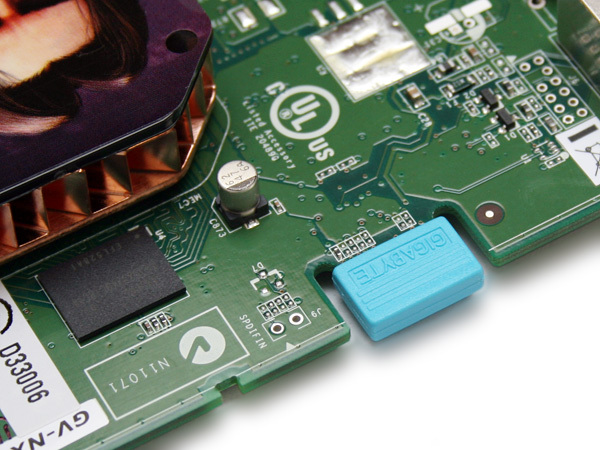 As with all reference heatsinks, the whirr produced by the fan is quite audible, so do keep this in mind. Also, there is no temperature readout when using the nVidia control panel. As a result, there is no auto overclocking option with Coolbits. I guess this has to do with Leadtek's Home-brewed BIOS which is quite different from the others. 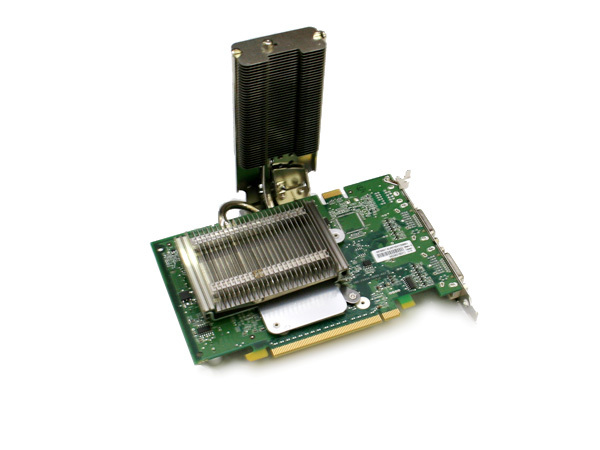 We understand that there is another 7600GT TDH from Leadtek which has Leadtek's own heatsink design. It covers the core and also all the BGA RAM chips. We believe this would bring down the noise levels considerably considering the fact that the fan used on Leadtek's own heatsink is much larger. Anyway, let us take a look at the overclocked numbers. 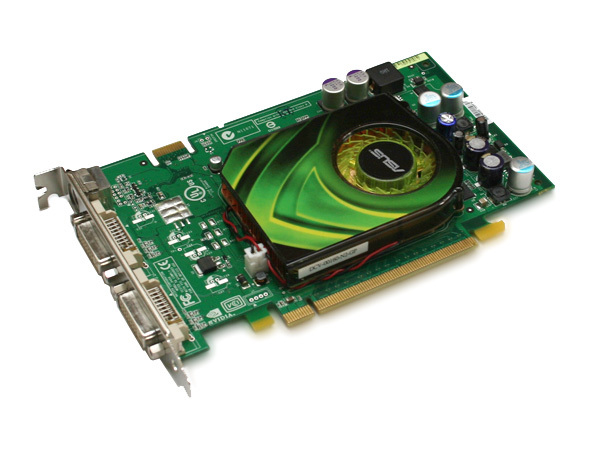 Leadtek has been known for creating cards with great overclockability. 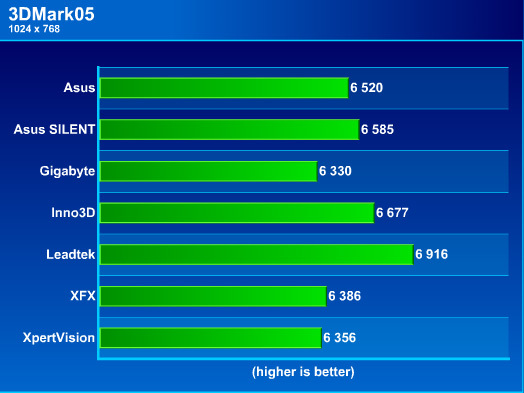 Here, we see that the Leadtek is the highest clocked of the pack. 650MHz on the core, but there were some random freezes during benchmarking. No artifacting after the freezes occurred, unlike all the other cards in this roundup. The memory could go all the way to 800MHz without any sweat. Pretty amazing stuff here. This card exhibits good overclocking potential. We believe that the 7600GT TDH and the 7600GT TDH Extreme using Leadtek's own heatsink design would be able to clock even further. 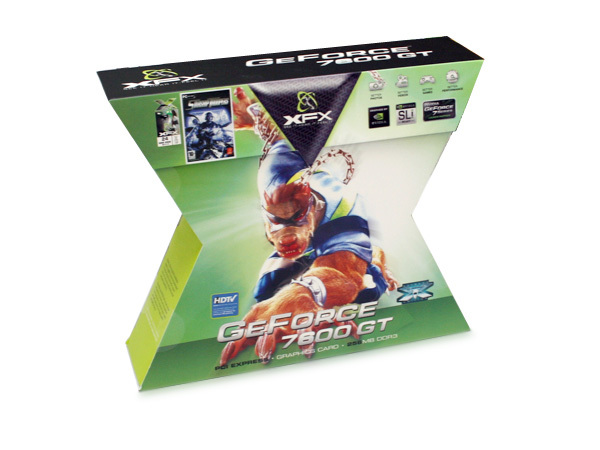 As usual, XFX's 7600GT comes in the unique X-shaped packaging and goes for the price of USD$242 (SGD$400. You can see the card itself through the plastic cover at the back of the box. The heatsink cover is reflective, and it looks pretty cool. The heatsink used is reference. Like the other reference cards, the fan RPM can be distinguished to three different speeds. Highest speed upon powering on the sysem, lowest speed in 2D mode, and medium speed in 3D mode. Interestingly, this card comes with a metal bar at the top, to prevent the card from warping. 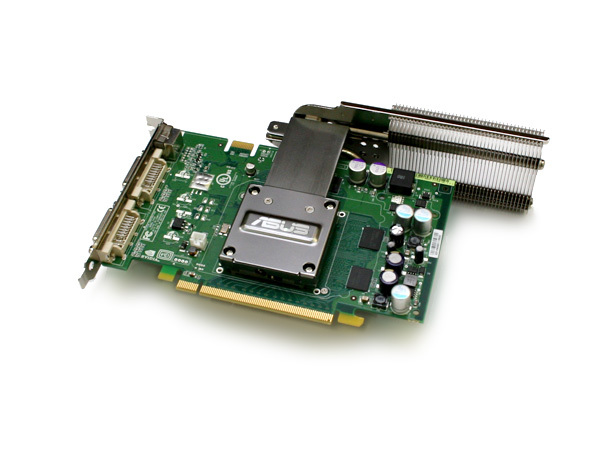 However, we do not think there is a need for this on the 7600GT because the card is short and the heatsink is light, but many of us agree that this bar adds a cool factor to the card right? Here is the back of the card. Nothing special, just like any other reference card. This card has been pre-overclocked already. The core would go only up to 600MHz. The card locks up if we clock higher. The memory could clock to 775MHz. We note that the scores at the 'stock' speed of 580/750 are somewhat lower as compared to the XpertVision card we reviewed on the following page. The box is pretty huge, but still nowhere the size of the Asus EN7600GT SILENT's box. This card goes for around USD$206 (SGD$340). 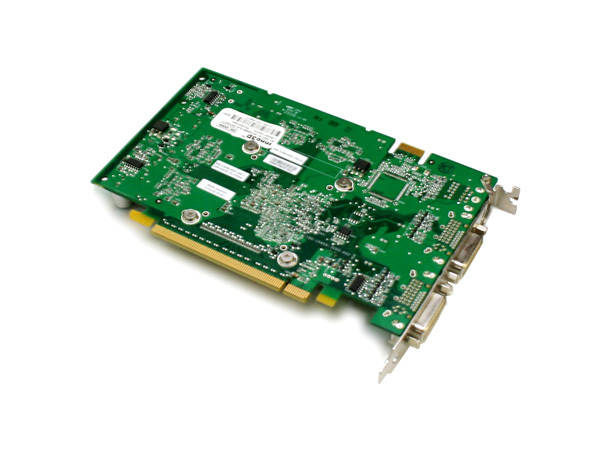 We have the label, stating it's a 7600GT card with 256MB of DDR3 memory. The card has already been factory clocked to a higher speed, but nothing was mentioned on the box. 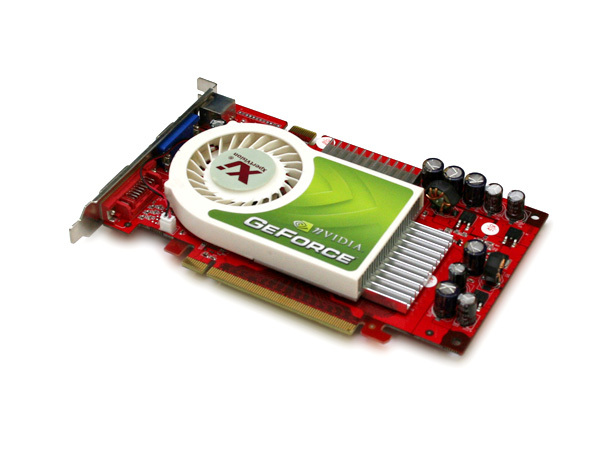 Xpertvision has chosen to go with their own PCB design for the 7600GT card. 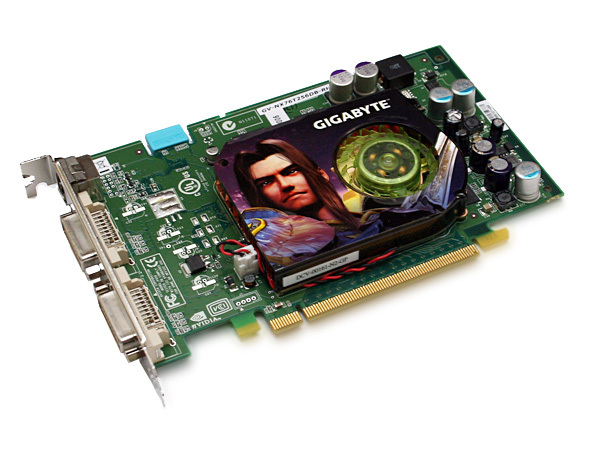 The heatsink unit used on the card is also different from all the others in this 7600GT shootout. The heatsink is made of aluminium with pretty thick fins and they are well spaced out. The RAM sinks are stuck on by white thermal tape and they really hold well. However, during benchmark sessions, the RAM heatsinks did not heat up much, so we guess placing RAM sinks on the chips have little effect on the maximum overclock. 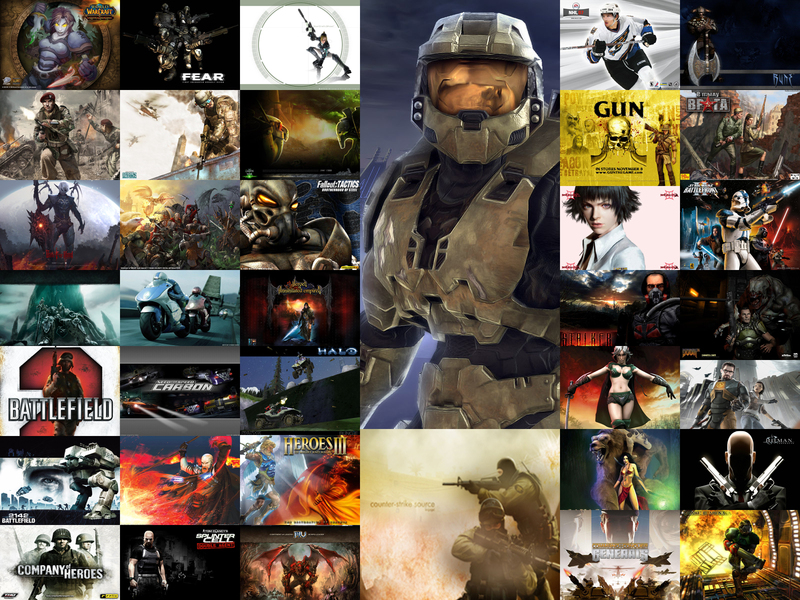 But well, it does improve the card's aesthetics, subjectively. It's quite refreshing to see a card that is different then go through repeats when we were doing this shoot-out. Now isn't that a sweet-looking card? 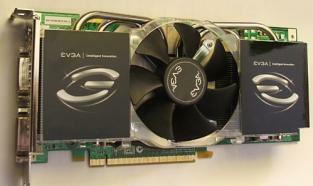 The blower used on this card is bigger than those used on other 7600GT cards. At full blast, this fan produces comparatively lesser noise than the reference heatsink unit. This fan moves quite a fair bit of air too. The memory used on this card is Samsung 1.2ns. Some of the markings have faded when we removed the RAM sink, which stuck like glue to the chips. The mounting for this card's heatsink is somewhat interesting. Instead of screws, it uses a backplate with metal wires and hooks. 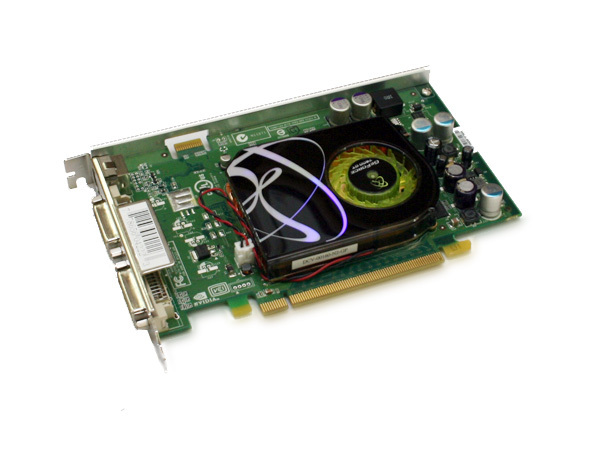 In addition, this is the only card in the 7600GT overclocking shootout that has both analog and DVI outputs. 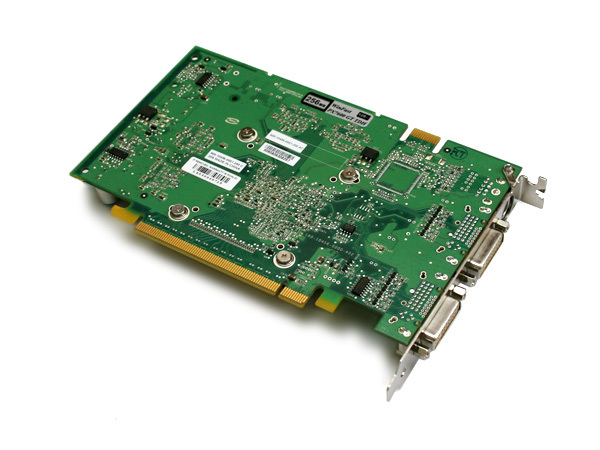 All other 7600GT cards have dual DVI outputs. To some users on LCDs with only analog connection or CRT users, this might be good news as there is no need to use a converter. 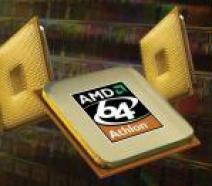 This card has been factory overclocked to 575MHz for the core and 750MHz for the memory. Let's take a look at some numbers. Looks like the card is pretty much max-ed out already. 650MHz on the core caused major artifact, while at 625MHz, the card was able to complete benchmarks, but the scores were lower than at the factory overclocked speeds! The memory could not go further though. We found it pretty weird because technically a 1.2ns part should be able to clear 800MHz clock. Perhaps some tweaking was done to the memory timings? We are unsure of this. Here is a summary of the overclocks managed on each card for both the core and the memory. 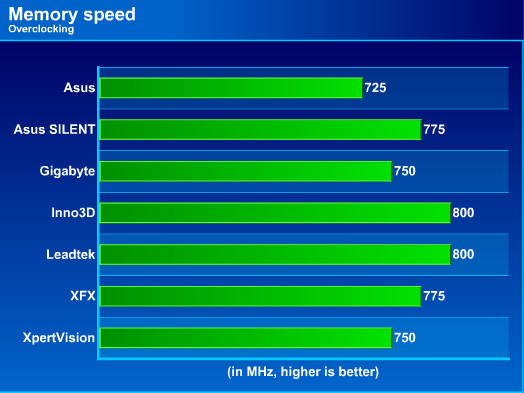 Most of the cards here can manage a speed of 600MHz for the core, except the ASUS EN7600GT and the Leadtek 7600GT TDH, with which both card cleared the 600MHz line by quite a bit. A mixed bag of results for the memory clocks though. We see two extreme ends here. 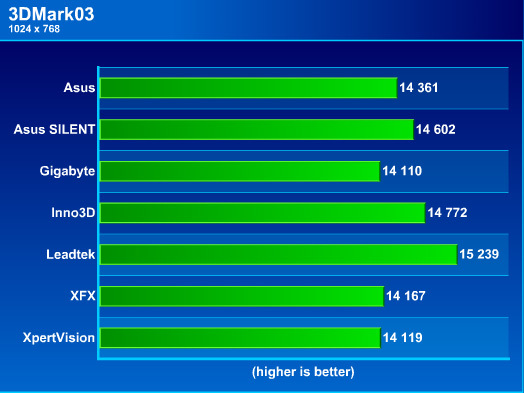 Here are the performance results from the 3DMark series, after the cards have each been overclocked to their prime. The Leadtek card pulls away from the rest of the competition, mainly due to its superior clocks as compared to the rest of the cards. Each card had it's 3D Mark 05 score divided by it's retail price. We can see that in terms of value-for-money, the Leadtek stands at the top of the pack. Inno3D 7600GT comes in second for value and the XpertVision a third position. 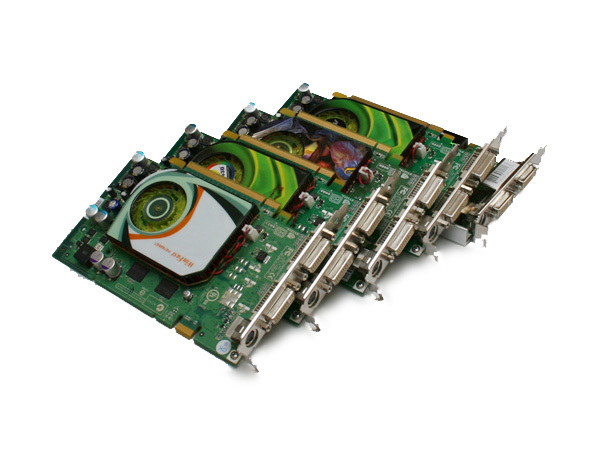 Cross comparing these top 3 value cards, only the XpertVision features an improved cooler which reduces noise and improves cooling. So that should put it's value a bit higher than represented by the chart. 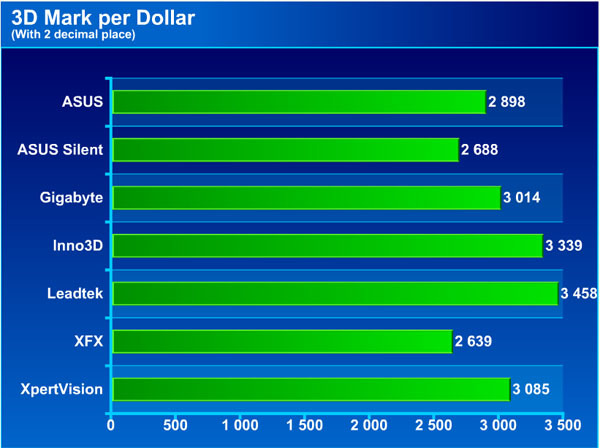 At the bottom of the chart is the XFX 7600GT which is over-priced for the performance offered when you compare against the rest. The ASUS EN7600GT Silent is priced rather high on the price/performance scale as well, but it offers total silence with it's passive cooler. The XFX gives nothing but the bare minimum reference cooler. The 7600GT cards seem to be voltage limited on the core. The cards all hit a barrier at 650MHz, where at this speed, major artifact come up with the whole screen drawing only black and green objects and lines. With a voltage mod, we are pretty confident these cards can go further. During the operation of the cards, they ran at acceptable temperatures, thus we believe that artifacting at 650MHz isn't really caused by heat issues. The BGA RAM chips used on all the cards are Samsung 1.4ns. 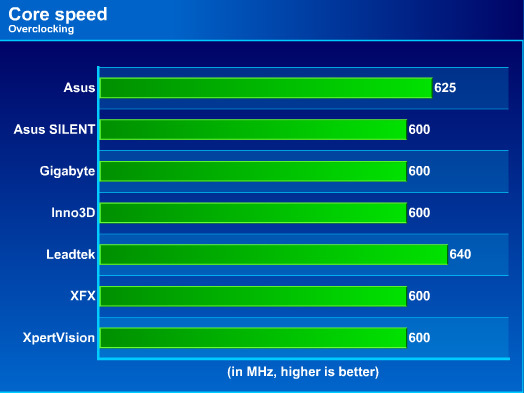 The average speed that they could reach is about 775MHz, with the Inno3D and Leadtek cards surpassing the average levels clocking in at 800MHz. As for the Samsung 1.2ns on the XpertVision card, they may be running faster internal memory timings because we were unable to increase the speed further, and were stuck at the factory overclocked speed of 750MHz. 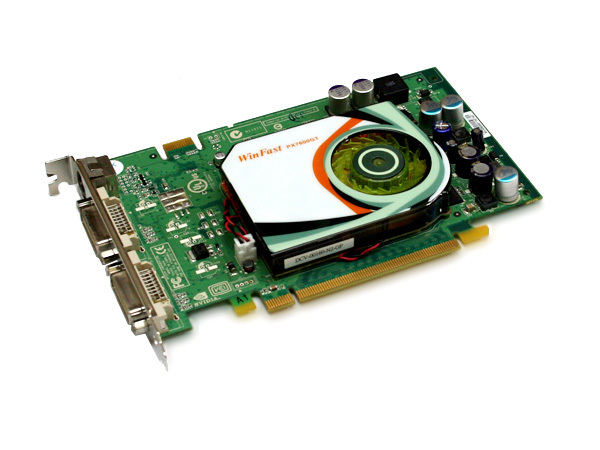 The card that gave the most value is the Leadtek WinFast 7600GT TDH. It managed to achieve a stable clockspeed of 640/800, up from the default of 560/700. 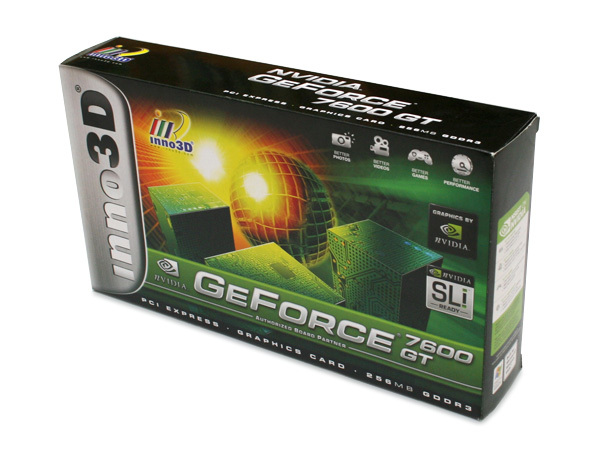 For the overclockability it offers and the low price it goes for, no card in the pack of 7 can beat this. 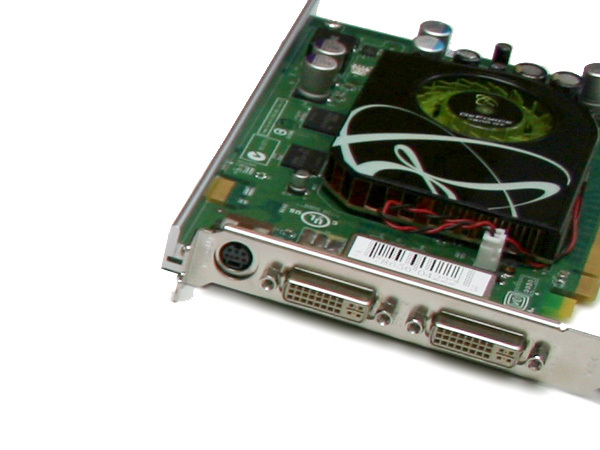 If you're looking for a quiet solution and will probably not overclock, then the XpertVision 7600GT makes a very good choice. 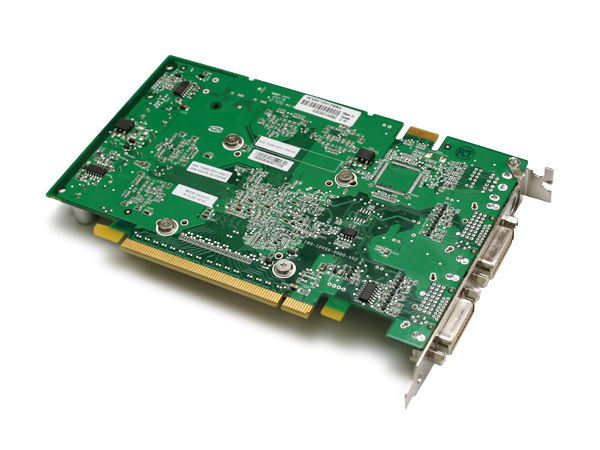 It already comes higher clocked than most of the other cards, has both analog and DVI outputs and the cooling solution is both quiet and effective. It comes with a tough-to-beat price when you think about the additional features it offers on top of the compared cards, namely the special cooler and higher stock clocks. In fact, these seem to come free when you check it's price tag.